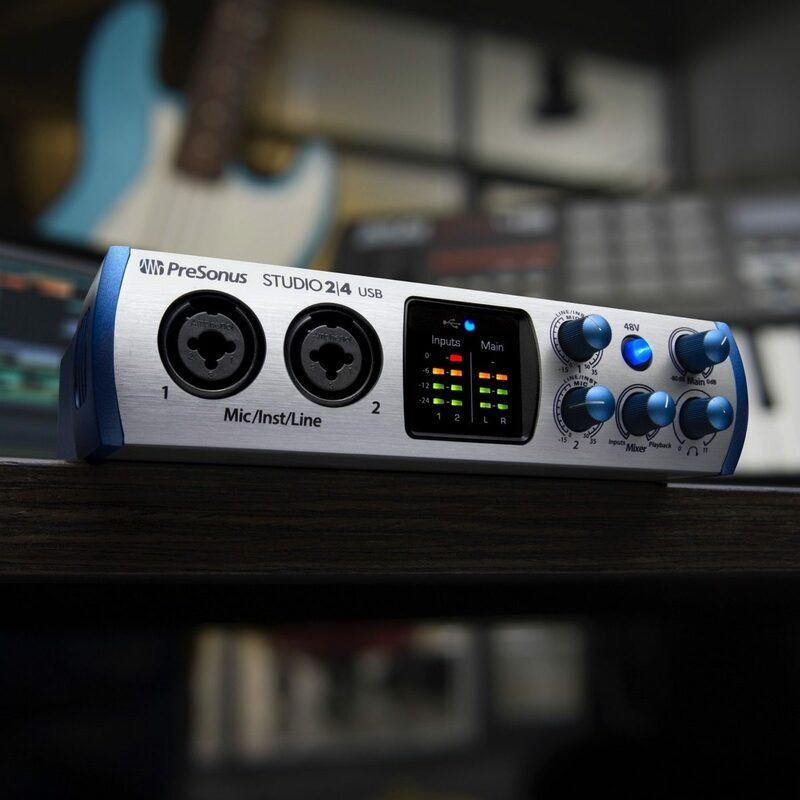 Great for home recording, mobile musicians, guitarists, podcasters, and live streaming, the PreSonus Studio 24 2x2 USB-C (USB 2.0) bus-powered audio interface for Mac and Windows can record at up to 192 kHz and features 2 front-panel combo mic/line/instrument inputs with PreSonus XMAX-L solid-state mic preamps, two rear-panel, balanced line outputs, and MIDI I/O. 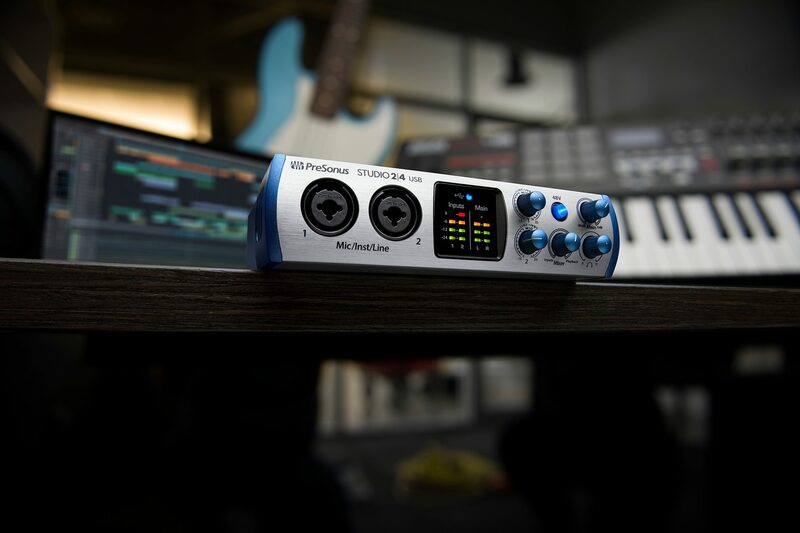 A Mixer knob blends analog input and computer playback for low-latency direct monitoring. 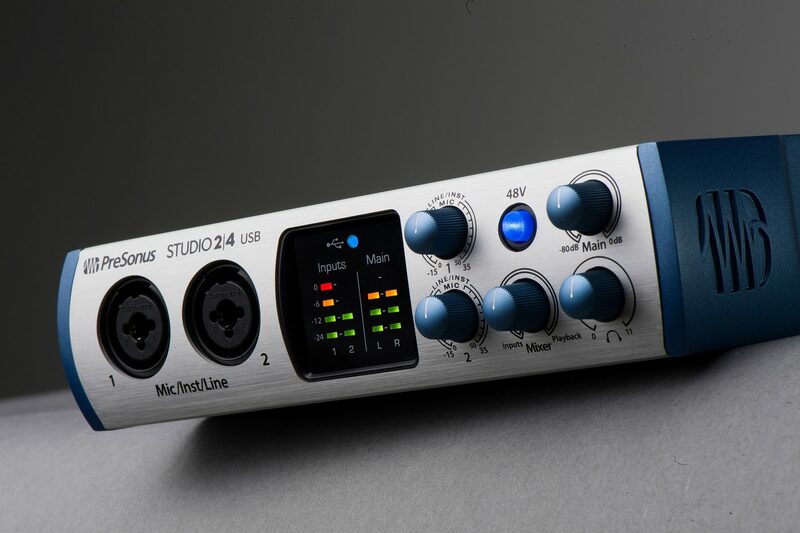 A complete, all-in-one recording solution, the Studio 24 comes with PreSonus' award-winning Studio One Artist DAW software for Mac and Windows and the Studio Magic Plug-in Suite.